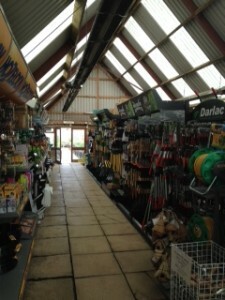 Formerly Addingtons Garden Centre, Malmesbury Garden Centre is now owned by Joden Builders Ltd. It was renamed to the Malmesbury Garden Centre to express its unity with the town it serves. The garden centre stocks a large selection of shrubs, herbaceous and alpine plants and a full range of bedding plants and bulbs in their respective seasons. 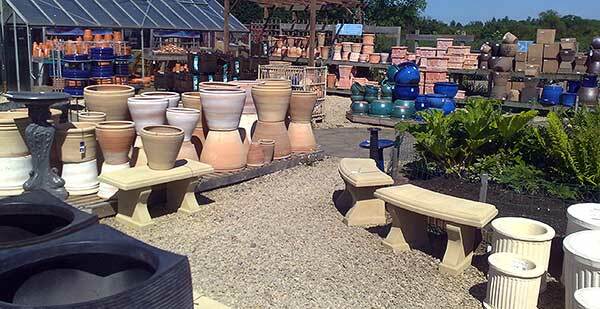 The garden statuary display area includes pots from different parts of the world as well as locally produced Cotswold stoneware. 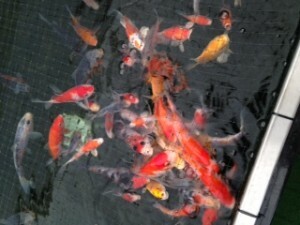 We also have within the pot area a water garden display which has a selection of garden pond needs including koi carp and goldfish. A children’s play area is situated along side the Garden Café which is within the Garden Centre, and now has been given a 5 Star rating! Let’s take a walk around the Garden Centre…. Upon entering the shop, to your left you will see the variety of all the seeds we stock. Do stop and browse and imagine what a wonderful floral display you could have in your garden next year. We also stock vegetable seeds – vegetables always seem to taste better when you grow them yourself. 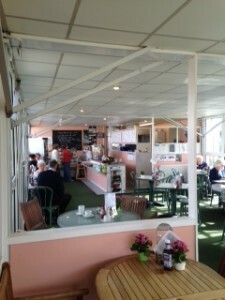 To your right is the Garden Café serving delicious meals. In the warmer seasons, you can also choose from our range of home ice creams, Coach parties and group bookings are welcomed, just give us a call so that we can cater for your needs. Now look to your left a little and you will see our collection of cards for all occasions and throughout the shop, we stock a delightful range of gifts for all ages. A little further on, visitors will come across the DIY stand for all the little things you need. Exiting the shop, continue along the covered walkway and straight ahead of you is The Courtyard where on display is an array of stone pots just right for a patio or even to adorn your front door. Follow the path look to your left to see pond plants, pond liner and our fish tanks where you can purchase goldfish and koi from late spring. To your left we feature wooden barrels and statues. 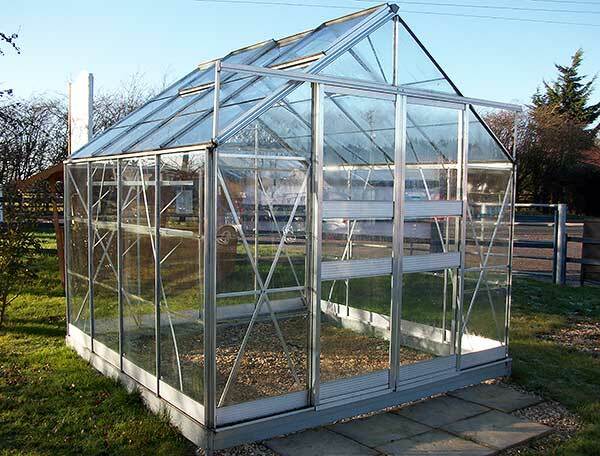 Further left is a small greenhouse that in mid January our Seed potatoes are stocked!, and Spring/Summer you can expect to see a vast quantity of potted garden vegetables. Around the corner at the top end of the Old Shop is our fair and Square items, and you can pick up a copy of our Fair and Square catalogues which are available in our shop. Please be aware that not all fair and square items are kept in stock however are available to order. The left hand side of the Old Shop has our Kinder plug plants and House plants where by you may be able to stop and grab that last minute Gift! The First door straight in front leads you in to the Sales Tunnel, where by Canes, poly tunnels, poly greenhouses, plant supports, wall brackets, lawn edging, flexi buckets (very useful), various plastic pots and saucers. The Second door leads into “The Church” – this is so named because if you stand in the Courtyard and look towards it there appears to be a cross. The Church has wild bird food as well as garden tools, wire netting, and wheelbarrows, find our watering cans and hoses, landscape fabric, bubble plastic and fleeces here too! Conveniently, you can re-enter the Old Shop from this area. From the bottom end of The Church, a door to the right leads you to our extensive range of composts and other growing media please ask if you require any help for lifting as some of these bags are quite heavy and cumber some! From both the bottom end of the Sales tunnel and the Church, visitors can enter the plant area where we feature trees, shrubs, herbaceous plants, Alpines and ferns. If you need any advice as you shop, seek out Zane or Jenny – they are always happy to help. Just off the plant area, we have paving slabs, rockery stones, sand, gravel and fencing. If you need help with all your purchases, Ryan can take it back to the checkout for you which is situated in our shop. Thank you for coming on this walk with me – I wish you very happy gardening.